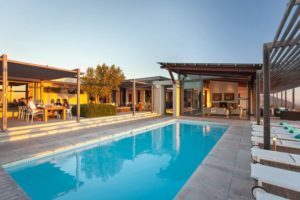 Capetonians, when you find yourselves due for a top-up of nature and nurture, here are some great getaways ex Cape Town. They are not a major trek away, yet offer a delicious sense of having traded the city snarl for the exquisite pleasure of being somewhere a little off the beaten track. Whether you head for the beachy allure of the West Coast, the rocky thrills of the Cederberg Mountains or the laid-back, country-verandah lifestyle of the Cape Overberg, you’ll enjoy sidestepping the city for one of our tranquil charm-spots in the Western Cape. On the West Coast, Paternoster really is a case of love-at-first-sight. It’s where the locals fish for a living in colourful boats, where visitors tramp long strips of beach lined by the quaint whitewashed cottages of the fisherfolk, and where the fiery ball of the sun slips behind the water to paint a majestic sky. Paternoster is one of the West Coast’s bright little getaway gems – and it’s also one of the area’s last traditional fishing villages. It sits beside the sea under the watchful eye of the Cape Columbine lighthouse, which is situated in a beautiful reserve well-loved by campers and sheltering secluded Tieties Bay. 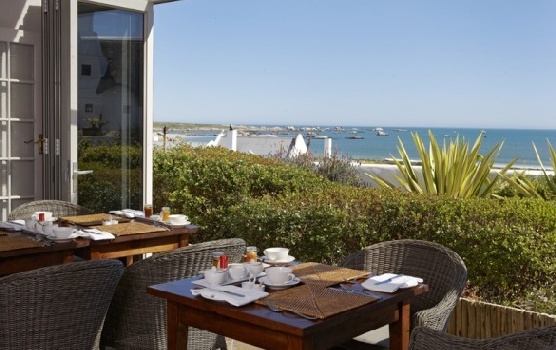 Paternoster is an easy-to-reach getaway, just 90 minutes by car from Cape Town, with the West Coast National Park and several neighbouring holiday spots easily accessible. Whales and dolphins, and masses of spring flowers, are among its charms. And in the village you’ll find some lovely pottery, paintings and sculptures of Paternoster’s local artists. A superb choice of lodgings are available, along with some really fabulous dining. 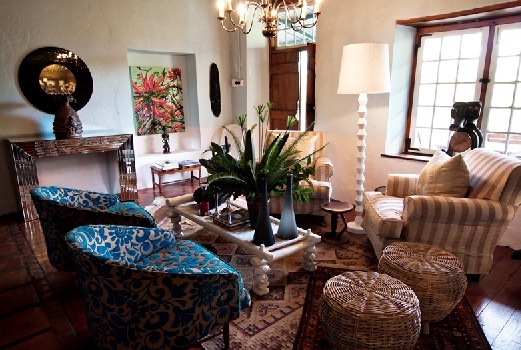 Abalone House is a wonderful boutique-style hideaway, small and intimate and made plush with chic-rosy furnishings and five-star comforts. There’s an in-house Reuben’s Restaurant to boot – a real treat for foodie-folk. See More. There is much to do in Paternoster – kayaking, snorkelling, kite surfing, hiking and biking, whale and dolphin watching, and excellent birding. 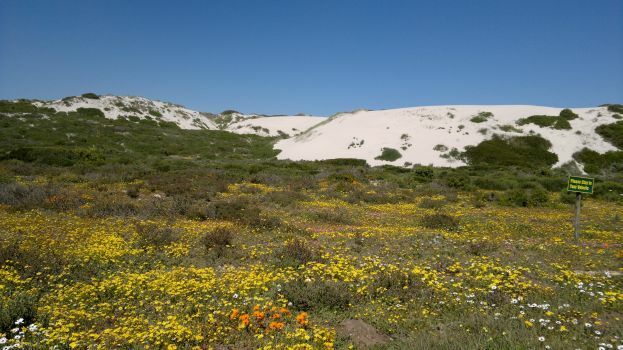 Be sure to visit the majestic West Coast National Park, which spans areas of sandveld bedecked with extravagant displays of flowers in spring, salt marshes, and phenomenal views of the turquoise Langebaan Lagoon. Exceptionally scenic viewing points make great tea and picnic stops. Within the reserve the Postberg area is an additional attraction during flower season. The Overberg “dorpie” of Swellendam is chock-full of good cheer and wonder, ranging from the quirks of history to stunning nature reserves, wine country, idyllic scenery, fine stayovers and jolly good food. A fabulously vibrant and classy getaway in Swellendam is Augusta De Mist, where the hospitality is akin to staying with good friends. Details matter – such as fresh flowers, complementary port, a CD music collection and a selection of teas in your suite. Hospitality is tops, and the food and wine is fabulous. The gardens are enchanting and the every-other-day dining experience at Augusta’s African Kitchen superb. See More. 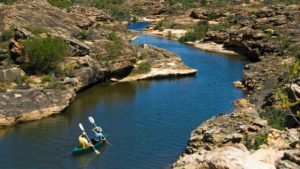 To the south of the Cederbeg Mountains and bordering the Ceres Karoo, there’s a spectacular rocky wilderness called Kagga Kamma. It’s a wonderland of intriguing rock formations and rock paintings several thousands of years old. 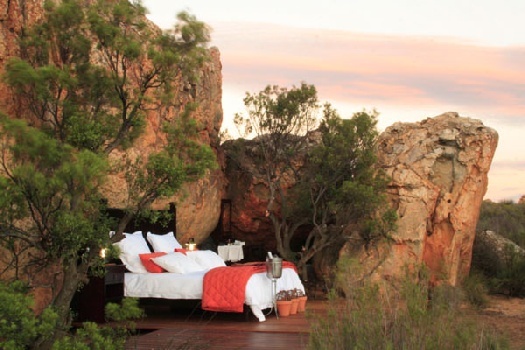 Your hosts treat you to rock art tours, and guided game and nature drives in the Kagga Kamma Nature Reserve. The area is also great for 4×4 trails, quad and mountain biking, hiking and star-gazing – Kagga Kamma has its own mini-observatory. 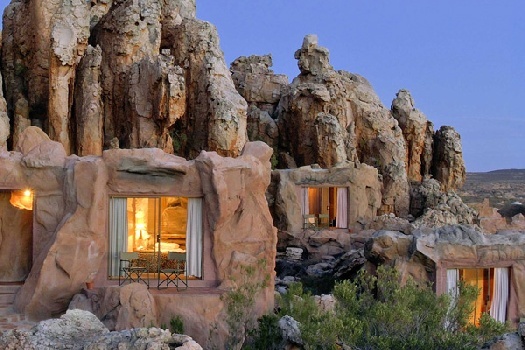 Stay in unique circular huts or cave rooms built between the gigantic sandstone rock formations which are the area’s trademark feature. See More. Other getaways in the Western Cape. Mail us to book your getaway off the beaten track, or call us on 0860 102 907 / +27 21 797-7122.